Globe, the preferred digital lifestyle brand of Filipinos, and the company behind many of the premier Korean pop concerts featuring top KPOP acts including EXO, BTS, and BIGBANG, is once again bringing the best of KPOP entertainment to the country. 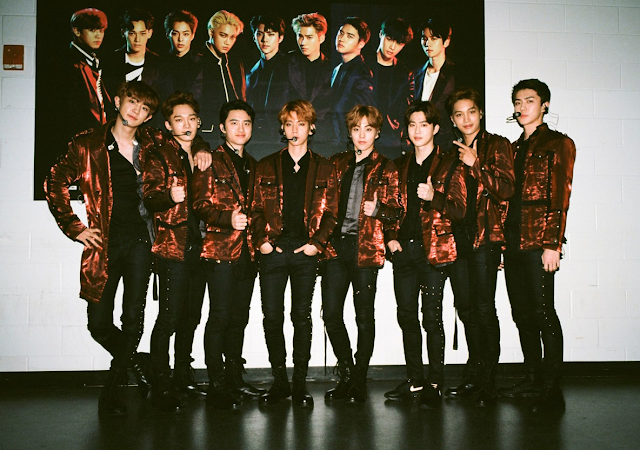 In partnership with PULP Live World, the biggest boyband in the world, EXO, will be returning to Manila for The ElyXiOn 2018 tour on April 28 at the SM Mall of Asia (MOA) Arena! Don’t want to miss out on Xiumin, Suho, Lay, Baekhyun, Chen, Chanyeol, D.O. Kai and Sehun live? Globe has got KPOP fans covered! 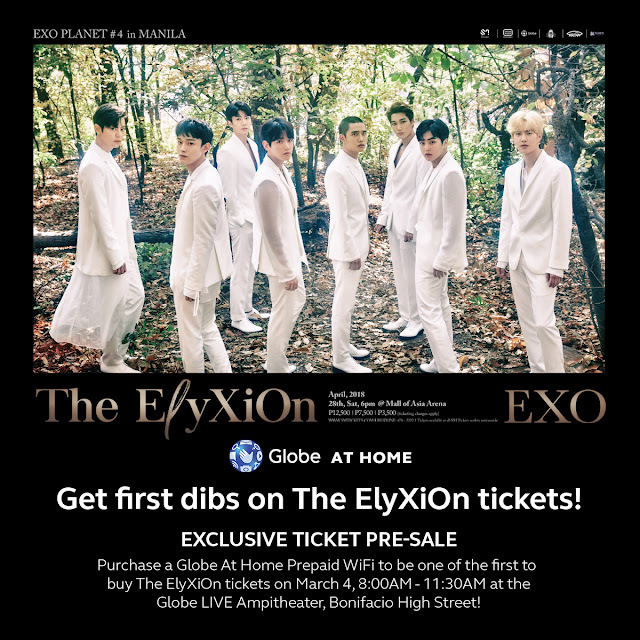 They can buy tickets ahead of everyone else at the EXO Exclusive pre-sale on March 4, 8 A.M. to 11:30 A.M., at the Globe LIVE Amphitheater in BGC, Taguig. Fans can secure a slot to the pre-selling promo simply by purchasing a Globe At Home Prepaid WiFi modem on March 3 at any Globe store, or on March 4 at the pre-selling event for P1,999. They will then be entitled to buy two (2) tickets from the section of their choice during the March 4 EXO Exclusive pre-sale. With Globe At Home Prepaid WiFi, enjoy fast and reliable internet that’s 2X faster, has 2X stronger signal and 2X wider coverage vs MyFi. It also has affordable HomeSURF promos for longer streaming and surfing even while on a budget! Fun activities are also in store for all attendees, where they could also get a chance to win tickets to the concert. In 2016, Globe and PULP Live World brought EXO’s first-ever concert to the Philippines, Exo Planet 2: The Exo’luxion. Due to insistent public demand, the sold-out concert was extended to two days, and made history as the first KPOP group to hold two consecutive performances in the country. To know more about the promo, visit go.globe.com.ph/GlobeKPop or follow the official Globe Facebook page or @enjoyGlobe on Twitter.